February | 2014 | Bobcats Blog! posted by Ian P. Kelly, M.Ed. and Heather L.B. Smith, M.Ed. In our last post we broke down each of the work habits articulated on the Report on Student Progress (ROSP). In that post, we focused on the skills embedded in following directions and provided guidance as to how families can support the development of those skills. In this post we focus on working independently. The ability to initiate and sustain goal oriented work is a skill that is developed slowly over time. This learning process requires a great deal of time and patience on the part of adults. With the right structures and supports any child can find success. Clear criteria for success: The child understands what it is they need to do in order to be successful in his or her work. Adaptability/perseverance/tenacity: The child can make adjustments when he or she realizes that the criteria for success has not yet been attained. Focused, sustained attention: The child can maintain focus on a task until she meets the criteria for success and/or the desired goal. Clear criteria for success: Setting criteria for success requires adults to strike a balance between developing independence and enabling dependence. As children learn to do new things, it is important that adults provide the criteria for success. 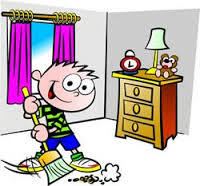 For example, if the independent work is to clean up the bedroom, adults should let the child know what that looks like (i.e. Bed made, toys away, book shelf organized). Over time though, it is critical that adults begin to engage children in the process of identifying the criteria for success. If the onus is never the child’s they will not develop independence with the task. Fortunately, this is easily done by asking, “It’s time to clean your room. 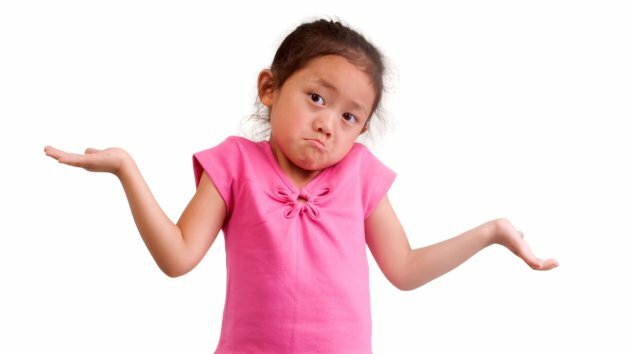 What does a clean room look like?” Over time, children will come to rely on themselves to identify the criteria for success. Self-monitoring: With clear criteria for success in place, a child can begin to monitor progress towards attaining his or her goals. Again, there is a balance to strike here. Children are not born pre-programmed with this skill. Like most other behaviors, it is learned over time. There are so many effective tools for teaching children to self monitor but, perhaps, one of the most powerful tools is modeling how you self-monitor. You may not always be aware of it, but you are constantly engaged in the process of self-monitoring. Part of the reason you may be unaware is because the skill has become internalized and nearly automatic. It takes time and practice for adults to slow down and articulate this. Adults can begin to teach self-monitoring by giving your child the opportunity to listen to your self-talk. If you want to walk your child through picking up the bedroom, you might ask him or her to join you as you model. While cleaning, you can model by saying what you’re thinking: “Let’s see. The first thing I need to do is make the bed. In order to do that, I need to take the pillows off so that I can straighten up the sheets. Now that the sheets are straightened out I can put the pillows back in their place…” By thinking aloud, you give your child the opportunity to follow a train of thought and to hear how you tackle a task. Adaptability/perseverance/tenacity: We all make mistakes. What is most important, however, is our ability to learn from those mistakes and persevere even when things become difficult for us. Children who demonstrate adaptability know how to change their behaviors or their chain of thinking when things aren’t going as planned. They do this by persisting. Again, modeling is a great tool for helping children see how you adapt when you have to solve a problem. But you can also teach children by coaching them. A great question to ask your child is: “What are some other strategies you can use to solve this problem?” Likewise, take advantage of the opportunities when you can acknowledge your child when she does so and reinforce her ability to persevere when she makes an effort to overcome an obstacle. For some of our children, taking their snow boots on and off is a challenge. When your child develops automaticity with this task, take a moment to discuss how she became independent with it. Chances are that she had to do it many times before she became good at it and that she had trouble the first time she tried. As children develop self-awareness, it’s important to celebrate their efforts and acknowledge how they achieved success (and keep in mind that there was a time when you had trouble putting on your boots, too)! Focused, sustained attention: Sustaining attention to a task is no easy feat. We all struggle with it from time to time and, depending on the age level(s) of our children, there is a wide variance in how long our children can attend. Five-year-olds, for example, tend to have less stamina than ten-year-olds. But age isn’t the only factor that affects our ability to maintain attention. Sometimes, the more challenging the task, the harder it becomes to stay focused. Similarly, the more interested we are in something, the easier it becomes to stick with it. This is why it is critical that we talk with our children about how they sustain attention and what they can do when they’re struggling with it. Asking your child: “I notice that you’re having trouble paying attention. Why is that hard for you right now?” You might be surprised by what he or she has to share (and you might also find that your assumptions may/not be true). There are countless strategies for increasing attention but before you can implement a strategy, there needs to be a match between the strategy and the cause for inattention. If your child is easily distracted, ask her what distracts her and coach her by asking: “How might you eliminate that distraction?” If your child is struggling with motivation, help her find a way to connect the task to something that interests her.